A new website is up! I have created a new site called "StarWars-Ornaments.com" to showcase my collection of Star Wars Hallmark Keepsake ornaments. If you want a one-stop location to see all the Star Wars ornaments Hallmark has produced, head over for hundreds of photos and detailed descriptions! Yes, I am still around! You may have noticed I recently moved this site to its very own domain! So if you haven't done so already, please update your bookmark to WWW.THETANTIVE4.COM! I have also been adding a LOT to my Ewok cels collection. So, to give it the attention it deserves, I have created it's very own website too. Please visit WWW.EWOKCELS.COM to see what's new! 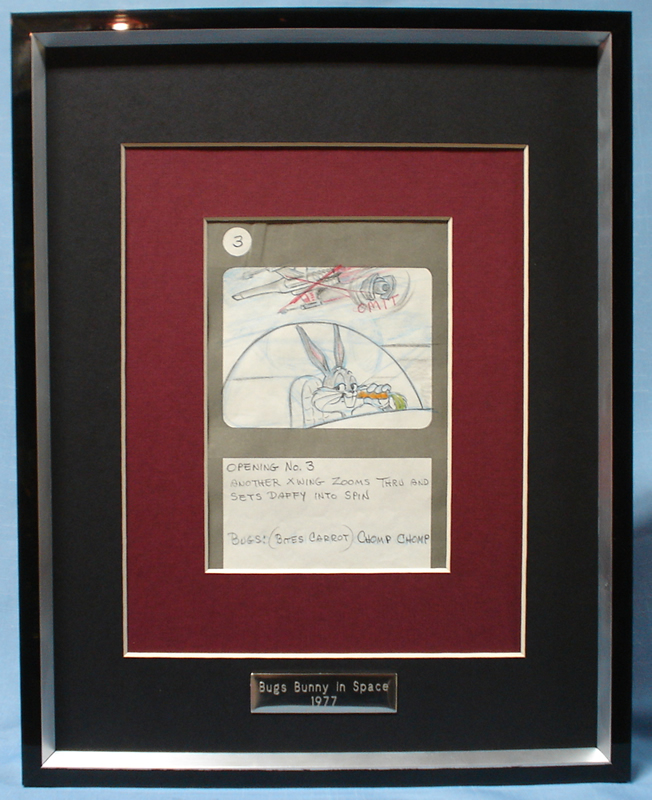 From perusing other online resources, I do believe it's one of, if not THE largest collection of Ewok cartoon cels on the net. And there will be many more added over the next few weeks. Hope to see you there! Wow, I can't believe it's been two years since an update. My interests moved from Star Wars collecting to blogging... but I still have my collection. Maybe one day I'll even do another custom or two. In the meantime, take a look around and let me know what you think! Welcome aboard! Ever since I got my first Ewok cel from the Fan Club in the fall, I've been trying to collect as many as I can. 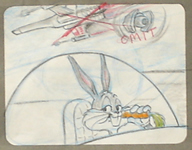 Click on the image below to see the cels I have so far. More are on their way, so check back for frequent updates! Well, two updates today. First, I've re-vamped the Cargo Hold. You can now sit back and enjoy a 5 minute slide show of some of our favorite collectibles, complete with accompanying music. As well, take a look at how our cat Sheba got involved in the photo session I was attempting to do as The Empire Strikes Cat. 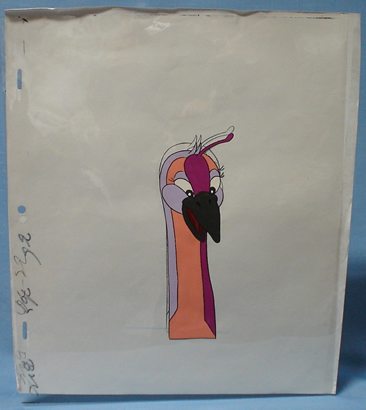 Click on the Lantern Bird above for an image of the full cel with pencil sketch behind it. As well as the cel, members get a membership card with Darth Vader on it, a letter from George Lucas, a Code 3 calendar, a LEGO poster, a 2-sided diorama backdrop, a WOTC poster, and a Heritage promo trading card. Happy Halloween! This year, instead of carving a real one, I decided to try my hand at one of those new "carvable fake pumpkins". Here's my Darth Vader Jack O'Lantern (click to see it full size) which I'll be able to enjoy year after year! Well, as every Star Wars fan knows, today was THE day to finally get the classic trilogy on DVD. I was incredibly lucky to get to Future Shop real early and snag the free T-shirt as well (which were so limited, Future Shop phoned us last night to let us know to get there early to be sure to get one -- they didn't get in enough for all the pre-orders they had taken!) Now all I need to do is find the time to sit down and enjoy the movies! Bay 4 of the Recreation wing is now open! Stop by the main Recreation Bay to view our attack of "Attack of the Clones". While there, why not check out the Junior recreational activities in Bay 1, as well as humorous spoofs of the classic trilogy and The Phantom Menace in Bays 2 and 3! Still fine-tuning the site and adding my on-line friend's sites to the quick links list. The top link will take you to our family homepage, where, yes (gasp!) I DO have other things in my life besides Star Wars! As well, take a trip to many fine Star Wars sites hosted by my buddies on the net. Two new autographs added to the VIP Quarters; the original Obi-Wan Kenobi, Sir Alec Guinness and Shmi Skywalker, Pernilla August. Obviously, Sir Alec's is one of the few autographs not obtained by mail directly from the star. I have always wanted to add this incredible actor's signature to my collection, and was forturnate to find a great autograph from a friend online. Pernilla August's signature has the distinction of being the one autograph I have waited the longest for. It took over three years (yes, that's YEARS) to get an answer to my letter to her in Stockholm. But it was worth the wait! Finally had the time to re-vamp the old website. Now that our ship has been flying for over seven years, I felt it needed a good overhaul. Hope you like the new format. If you're wondering who those characters are on the page headers, they're customs of (from left to right) Borsk Fey'lya, Bothan, my 12" Tessek doll, a Sith Witch, Horox Ryyder, Krayyt dragon sculpture and Marf the Pepsi alien. Let me know what you think by signing the Passenger Manifest or by just dropping me a line.